Gruppo Italiano Vini is the first Italian winery company and amongst the world leaders in production and sale of fine wines. The Group is composed by 15 names coming from all around the national territory and it is claiming to be an excellence brand of the italian winemaking culture. 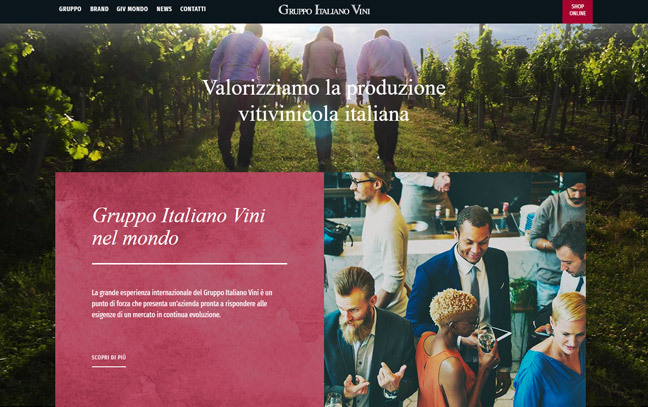 Gruppo Italiano Vini has chosen WINTRADE to develop a new dynamic web portal, responsive and seo optimized which could properly represents the identity of the brand and its values, both at a Group level and in expression of the single wineries. WINTRADE is responsible for the creativity, planning and developing of the new website, realised to represent all the Group’s wineries in a coordinated way, in accordance with the positioning and corporate’s brand identity. 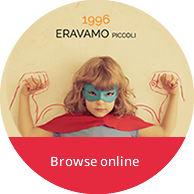 UI e UX create fast and deepen user journey, allowing the user a definite and simple navigation, able to communicate not only the history and features of Gruppo Italiano Vini, but also to enhance the brand awareness and guarantee the maximum interaction among user, website and off-line experience.